By Xah Lee. Date: 2017-02-24 . 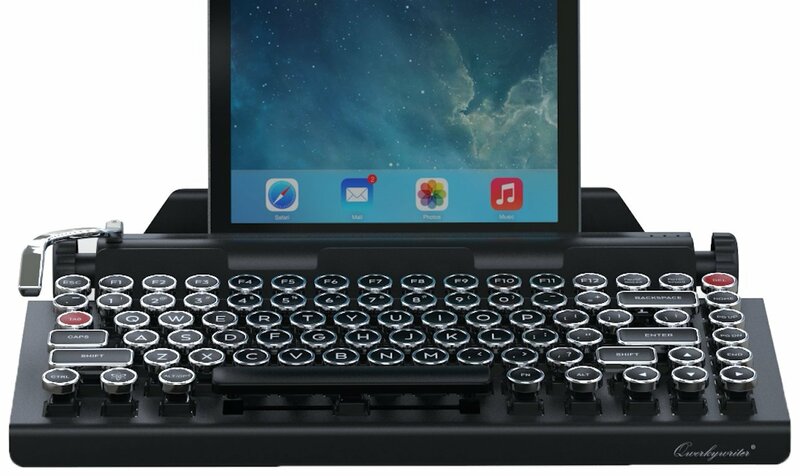 This one is called QWERKYWRITER Keyboard. 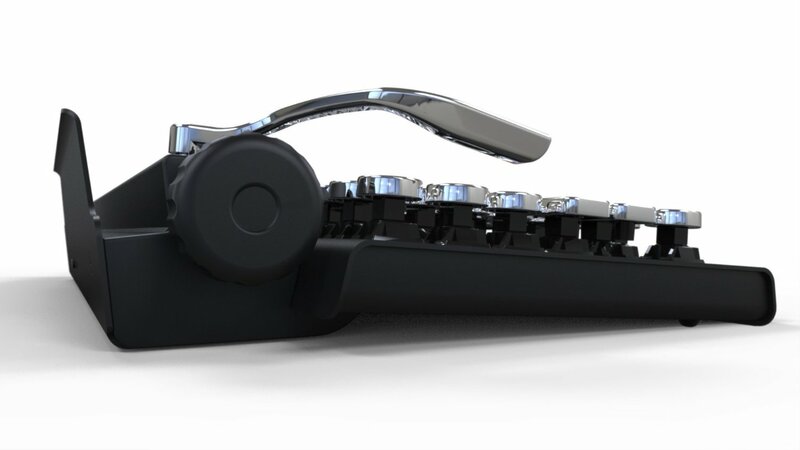 All metal return bar, default to return key, but can be programed up to 5 character keys. The scroll knob is decorative only. One amazon reviewer menitoned bluetooth connection problem. The real problem is this: when connected to a brand new iPad Pro, over the course of an hour's use, it lost many keystrokes, doubled others, and at one point insisted it was connected while not registering any keystrokes at all. Reorienting the iPad made no difference. When it was registering keystrokes correctly, there was also often noticeable lag between keypress and printing to the screen--sometimes I'd think it had disconnected and then two or three entire words would show up at once. If this offered a hardwired connection, it would be easy to recommend. As it is, though, it sure doesn't seem ready for prime time--and definitely not at this price point. Another user mentioned wake up problem. You have to reach to the back to turn it off and on again. The first, and most important, is its behavior when it goes to sleep. It goes to sleep in a surprisingly short amount of time. And to wake it up, you have to reach around and turn it off, using the toggle switch, and turn it back on. In this day and age, that's absolutely absurd. As of 2017-02-09, it does not work with linux. If you don't have Bluetooth, you can buy a usb dongle.